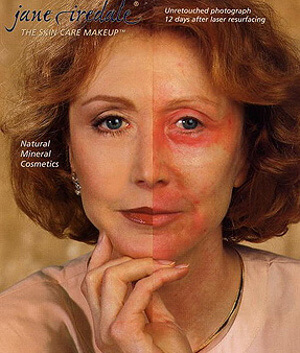 Jane Iredale Mineral Cosmetics is known as, "The Skin Care Makeup." Jane Iredale combines the most up-to-date colors with skin care benefits. The highly-sophisticated blend of minerals and pigments overlap each other on the skin to form a filter that allows the skin to breathe and function normally, while blocking air pollutants. What are Some Advantages of Using Jane Iredale Mineral Cosmetics? Jane Iredale Cosmetics are water resistant, provide broad spectrum SPF up to 30, calms irritated and red skin, does not block pores, and provides coverage even after laser treatments and chemical peels. The products contain algae extracts that help prevent dehydration, while calming the skin and providing it with much needed antioxidants. Also, the Skin Care Makeup does not contain any talc or parabens, and the products cannot support bacteria growth. Can I Get a Free Mineral Makeover? Yes. Ageless Aesthetics provides free mineral makeovers by their highly-trained staff. Our staff will provide each client with the perfect shades of mineral makeup for their specific skin tone and coloring.